How well do you know your childminding exclusion periods? February 8, 2018 9:45 am / 1 Comment on How well do you know your childminding exclusion periods? One thing that gets asked a lot on online childminding forums is about whether or not you should exclude children for certain diseases. The first thing to say is that it is ultimately up to you to decide as this is your family home. But it is also important to know what the government guidelines say so that you can make an informed choice and to be consistent with parents. I have lifted this ‘quiz’ directly from the Public Health England document: Health protection in schools and other childcare facilities. How well do you know your exclusion periods? False: The Public Health guide does not recommend that children with head lice are excluded from schools and other childcare settings. Head lice are spread by direct head-to-head contact. They cannot jump, fly or swim. When newly infected, cases have no symptoms. Itching and scratching on the scalp occurs 2 to 3 weeks after infection. Treatment is only needed if live lice are seen. Remember that it is up to you to decide what to do in your own home. Here is a leaflet to give to ALL of the parents at your childminding setting about treating head lice if you ever find them on a child. False: Conjunctivitis is an inflammation of the outer lining of the eye and eyelid causing an itchy red eye with a sticky or watery discharge. It is spread by contact with discharge from the eye which gets onto the hands or towel when the child rubs their eyes. Advise parents to seek advice, encourage children not to rub their eyes and to wash their hand frequently, but you do not need to exclude them from your childminding setting. True: Diarrhoea has numerous causes and is defined as 3 or more liquid or semi-liquid stools in a 24 hour period. Children and adults with diarrhoea or vomiting should be excluded until 48 hours after symptoms have stopped and they are well enough to return. True: Scarlet fever cases have been growing in the UK at the moment and there have been several outbreaks at schools. It is spread by the respiratory route or by direct contact with nose and throat discharges especially during sneezing and coughing. Children should be excluded for scarlet fever until 24 hours after commencing appropriate antibiotic treatment. If no antibiotics have been administered the person will be infectious for 2 to 3 weeks. True: Chickenpox is highly infectious and is spread by respiratory secretions or by direct contact with fluid from blisters. Cases of chickenpox are infectious from 48 hours before the rash appears to 5 days after the onset of rash. Children should be kept away from childcare settings for at least 5 days from onset of rash. It is not necessary for all the spots to have healed or crusted over before return to your childcare setting as the risk of transmission to other children after 5 days is minimal. Probably: But this is entirely your call. After you have had chicken pox once you have lifelong immunity to the virus. Nevertheless, you do hear about very rare cases of people catching it for the second time around. Normally when these cases do occur, they are in a person who has a weakened immune system in some way. So while the child with chicken pox is extremely unlikely to re-infect you or the other children, it is also important to think about this child who may not be feeling all that well. It’s hardly fair on you or the child to be anywhere but home while they have chicken pox. I think it would be very wrong of the parent to take advantage of a childminder in this situation when a nursery or school would send the child home. You won’t be able to go out for example to music club or soft play even, because the child is infectious. Probably. Any childminder who looks after their own children while childminding will at some point be faced with the situation where their own child gets sick and have to decide whether to close or not. There is no specific Ofsted regulation that dictates what you HAVE to do in this situation. Here are my thoughts on this issue. That was I used to do when I was childminding. Parents, I found, were more likely to take their chances on chicken pox than they were on dreaded stomach bugs! But they liked that I gave them the choice. They liked me to be reliable so they could go to work. Looking back, however, I’m not so sure that was necessarily the right thing to do. It says in the EYFS Statutory Framework that the provider “must take necessary steps to prevent the spread of infection.” It also says that, “providers must take all necessary steps to keep children safe and well.” So I am concerned that if you stay open, knowing that your own children are infectious, you are technically breaking those Stat Requirements. So now that I am older and wiser and looking back on my childminding days, I’m not sure that my ‘it’s the parents’ risk’ policy was necessarily the right thing to do. Now, following this train of thought, any nursery worker who went into work knowing that she had a stomach bug, would be in breach of those same EYFS regulations. And yet people do this all the time. This is complicated. What do people think? Please feel free to leave me a comment. For a list of exclusion periods from Public Health England and information about lots of childhood diseases go to Health protection in schools and other childcare facilities. If you scroll down to the bottom of the page there is two-page printable Exclusion Periods chart you can refer to. Kay Woods has been writing and selling childminding resources through her company Kids To Go since 2008. Her products include the Ultimate Childminding Checklist, the Learning Journey Plus for planning, observation and assessment and best practice resources promoting diversity, safety and childminding in the great outdoors (Forest Childcare). 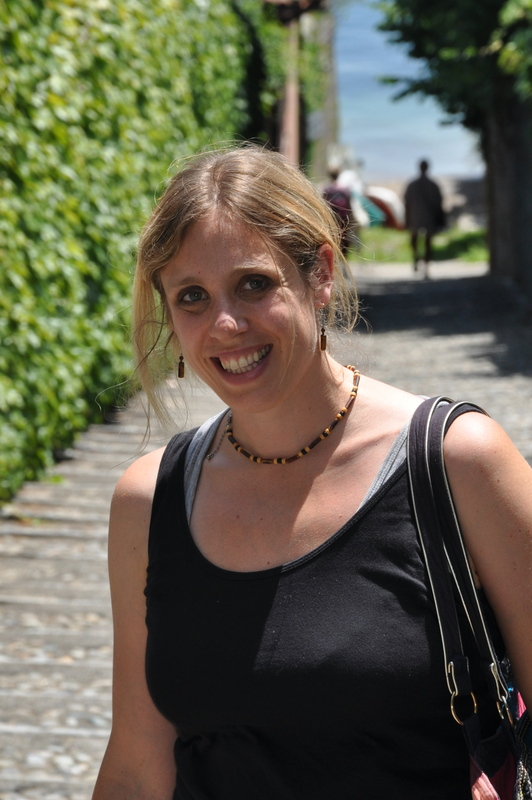 She is the author of the Start Learning book set published by Tarquin and she writes the free quarterly Childminding Best Practice Newsletter. There are lots of things I hate about childminding – parents who are rude or late, thoughtless footwear, potty training, snotty-nosed children, small children in general – but the thing I hate the most about childminding is: other childminders. You know who you are – the ‘goody-goody’ ones who make the rest of us look bad with your flexible attitude to your job, helpful attitude to parents and general fondness of children. Here is my list of childminders who make me want to throw up and why. If you’re reading this, I bet you’re on this list somewhere! Did you know that some childminders hold spaces for children when grandparents visit? Or allow children to attend on random days of the week, or for different hours each week? There are even some who go over their ratios to help out parents. Why bother with all that extra paperwork and complications, I say? Why put yourself out to help out some parent who probably calls you a babysitter behind your back? I mean, if the mum is on shift work or can’t get off work 15 minutes early to collect her child then she really ought to find a more flexible job in my opinion. Or just not work. I hate childminders who help out parents by being flexible. Why should you make the parents’ problem into your problem? I hate snot even more than I hate poo and wee. And when I see it, I just have to get rid of it before it gets onto my furniture or carpet. But seriously, I wouldn’t waste good tissues on childminded children. Just get some of that recycled toilet paper. The scratchier the better will encourage them to sniff more. Anyway, don’t forget that if they make each other sick you have an excuse to send them home. When a parent drops their child off to my house wearing shoes, they are implying that they are expecting me to actually take their child somewhere over the course of the day. Or to let them actually play in MY back garden. I have banned shoes entirely at my setting and recommend you do the same. When we do the school run, I strap the lot of the little darlings into the pushchair, stacked if necessary. Whenever I see a childminder with 3 little children all walking along hand in hand in reflective jackets, I want to throw up. I mean, why waste your time teaching someone else’s children road safety? It’s not your problem! Some childminders give children food they like and even treats to eat, even though it is not an Ofsted requirement. Who would waste biscuits and treats on childminded children? What really makes me even angrier are the childminders who give the children biscuits and buy them ice creams and treats and don’t even charge the parents for these items! It’s like they like children so much they seem to want to do nice things for them just out of the goodness of their hearts! It’s not like Ofsted is watching when you do nice things – so why do them? As if childminding isn’t bad enough already, do you have any idea how much extra work it would be looking after children with disabilities or special needs? And yet there are childminders out there who actually make a point of accepting children with disabilities into their houses? And the worst thing is that many of these childminders don’t even charge parents MORE for looking after SEND children? If you are one of those types of childminders, who look after children with special needs and don’t turn them away from your house, please be assured you are right at the very top of my Hate List. Some childminders take the children to petting farms and to soft play gyms. They strap them into the car, and take them places just so the children can have a nice day out somewhere. If this is you, what a waste of effort! I mean, they’re not even YOUR kids. I figure, I get paid the same lousy amount per hour whether I sit on my bum watching day time soaps or put in loads of effort to take them on outings. Why waste the effort to take them places? Did you know that there are childminders out there who have actually read Development Matters? Worse than that, there are the childminders who have read it well enough to actually point out proper concerns about child development to parents and encourage parents to seek help from other professionals. Everyone knows that Progress Checks and Learning Journeys should be treated for what they are: worthless paperwork for Ofsted. So what if children have problems? Let their reception teacher sort them out – she’s paid more than you are. When I see photos online of rows of little Fathers’ Day cards or Christmas presents for parents, especially those where I can see that the childminder has spent her own money on the gift, I just want to take that childminder and shake her and say, don’t you see, you’re being used! Parents are paying you for a service, just like washing your car or getting your drains declogged. You don’t tip the Dyno Rod guy! Children are essentially just like little clogged pipes. When you think of them that way, it makes childminding so much easier. I hope you don’t mind that I let my dear friend A. Grumpleminder write this blog. I may have to be a bit more selective about guest bloggers in future. I think she misses the point, don’t you? I only wish more parents would read this too so they would also understand a little better about all the little extras they too often take totally for granted. All childminders should buy really expensive home corner play sets for their childminding settings but should never be seen to do actual, real housework around their houses while the children are present. Children should never be given real chores to do – they are paying customers, not servants! Children learn nothing from being asked to empty a washing machine and count out clothes pegs. They should certainly never be asked to help with shopping. Parents don’t send their children to childminders so they can be given chores like real children in actual homes. You need to do all housework and shopping in your own time. It is really important that if small children want to speak to you that you drop everything you are doing and respond instantly to their request. If you are chatting to an adult friend or engaged in a task, and a small child tugs on your skirt or interrupts you, it is important that you attend straight away to the child’s needs. Never make a child wait or he will think his needs are less important than yours. Everyone knows that childminding isn’t like going out to work at a real job, so there should be no reason why you couldn’t do everything you did before you started childminding. And to exactly the same high standards. You should be able to keep up all the housework, do the shopping, look after your neighbour, continue to be a volunteer school governor, and take your own children to every single club and class you used to take them to. The childminded children will just sort of tag along and join in or watch. It’ll be easy. When Ofsted come to visit you they bring a tape measure and a set of weighing scales. The Ofsted inspector will weigh your learning journeys and compare them to Ofsted standard learning journey weights which are outlined in their Inspection Guide. Policies are usually measured on length, by the metre – the longer your policies document, the better. Paperwork is great for parents too. The more bits of paper you get them to sign when they start in your setting, the happier they will feel about your ability to look after their child. So make sure you spend your evenings doing lots and lots of paperwork if you want to really impress both parents and the Ofsted inspector. All childminders love all children. All the time. It’s a fact. Childminders are all warm and fuzzy and cuddly types of people who want to be around children ALL the time. If you don’t feel this way about children, then you should never let anybody find out because they will think you must be a bad childminder. At weekends you should never ask your partner to look after your own children for a while so you can have some ‘alone time’ or some time with other adults. If you ask for a break your partner will think you are weak, a bad parent for not wanting family time, will suspect you are failing at childminding and will tell you to go and get a real job. It is well known that if children see adults reading a book they will think that reading is bad. Never, ever let a childminded child catch you sitting down with a cup of tea reading a magazine or a book. Parents and other childminders will also think you are being lazy if you take breaks during the day. Most people who become childminders have a four-year teaching degree, a PhD in child development and child psychology and have taken a night course in police crowd control tactics. Many childminders (or at least those of us who want to get the best Ofsted grades) spend their weekends doing open university training on early brain development, plus politics and economics so that we can better understand how to ‘narrow the attainment gap’ in the children we look after. With all of this training, people rightly expect us to know everything about raising children, so it is important that if you have had less training or less experience than this yourself that you don’t let parents find out or they won’t send their children to you. Before you even open your doors on your childminding setting it is important that you have weekly plans in place for the next 5 years for your practice. As well as memorising all the Ofsted manuals, you should read through every Facebook forum and all of the back issues of my Childminding Best Practice Newsletters. Every morning when you brush your teeth you should look in the mirror and say “I am like Mary Poppins: practically perfect in every way”. This will give you the right mindset to face every day. 9. Never ask for help. People will think you are weak and don’t know what you are doing. Never admit that you are struggling. Ever. Nobody will ever have faced the problem that you are having before and be able to offer you advice or support. Every child is different, every problem is so unique that nobody in the history of mankind will ever have faced a childcare challenge similar to the one you are struggling with. Nobody can help you so it is best to keep your problems to yourself. Only weak people ask for advice anyway. I saw a great bumper sticker once. It said: “If at first you don’t succeed, hang gliding is not for you.” Childminding is like this. There is no room for error. If you do something wrong around a child, it’s pretty much game over for that child. If you ever get discipline wrong, speak to a child in the wrong tone of voice, or (horror) lose your temper and shout at one, you will mess that child up forever. Instead of doing school-readiness activities, you might just as well do prison-readiness activities. Remember that if that child turns out badly, it will probably be because of that one mistake you made when you childminded them. So just don’t screw up. Ever. A post on Facebook broke my heart the other day from a childminder who had been given a mug for Christmas that said “Thanks for being a great babysitter”. Upset, insulted, underappreciated, and angry don’t begin to describe the range of emotional responses from other childminders. Of course the parents didn’t intend it as an insult. But it would be really hard not to take it that way. 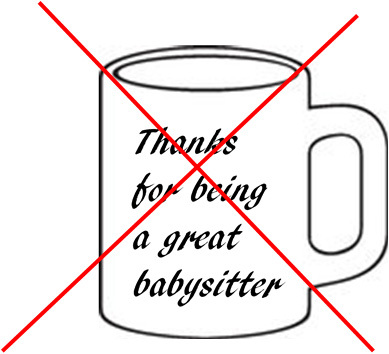 How can you make sure you aren’t the next victim of a ‘thanks for being a great babysitter’ mug? Babysitters are paid when you get home tipsy after a night out. This allows you to round their pay up (or down) depending on how generous you are feeling at that point in the night. In most cases this is a terrible business model for a childminding business. Ultimately it gives parents the power to decide how much they can afford to pay you this week/month based on how much money they have left. In my opinion, childminders should insist on being paid in advance, ideally one month in advance. This is how most nurseries are paid; why should childminders do things differently? If you offer flexible hours, why not charge a flat rate upfront, and then offer refunds or charge a surplus at the end of the month? This allows you to be flexible but doesn’t leave you entirely at the mercy of parents. Put yourself in charge of the money. A written contract signed by both parties keeps things formal right from the very start and sets the professional tone of your relationship with the parents. You are not offering “casual care” like a babysitter. A contract shows that you offer a regular service for a set number of agreed hours. If you allow parents to use your service too flexibly, to sometimes use you and sometimes use the grandparents or the church summer club, in other words if they can come and go as they choose then they hold all the power in the relationship. Set up with a proper, written contract from the very start. Parents should feel you are doing them a favour if you occasionally allow them to break their contracted hours with prior mutual agreement. A written contract shifts the power to you, rather than giving it all to the parent. No, I’m not kidding. 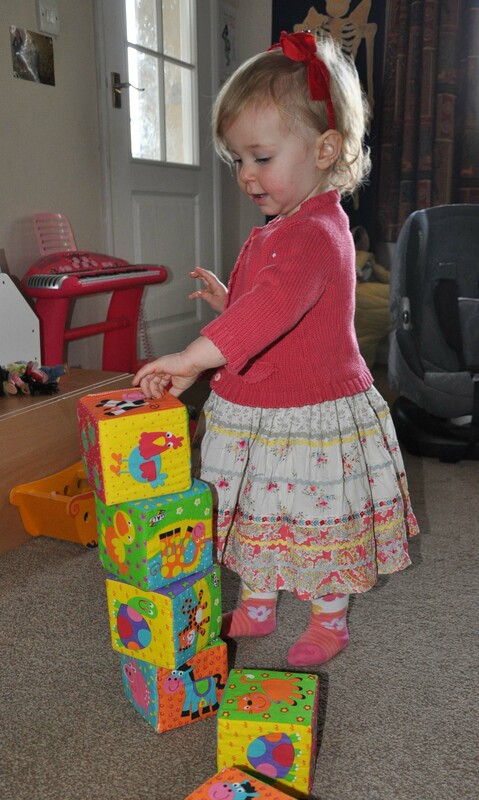 At their own homes with their own parents, small children ‘play with blocks’. At your setting they are ‘engaged in mathematical play’. Parents and babysitters let their children ‘paint’. You offer ‘messy play’ as a ‘structured activity’. Yes, of course it’s the same thing. But your attitude towards it, and what you call it in front of the parents alters the parents’ perception of the activity and their perception of you as a caregiver. A few well-placed educational posters will transform your living room into a ‘highly stimulating learning environment’. Throw in some themes and make sure the parents know what you have planned. This week we are exploring ‘stranger danger’ with the children, or learning some Polish as part of our ‘diversity awareness programme’. 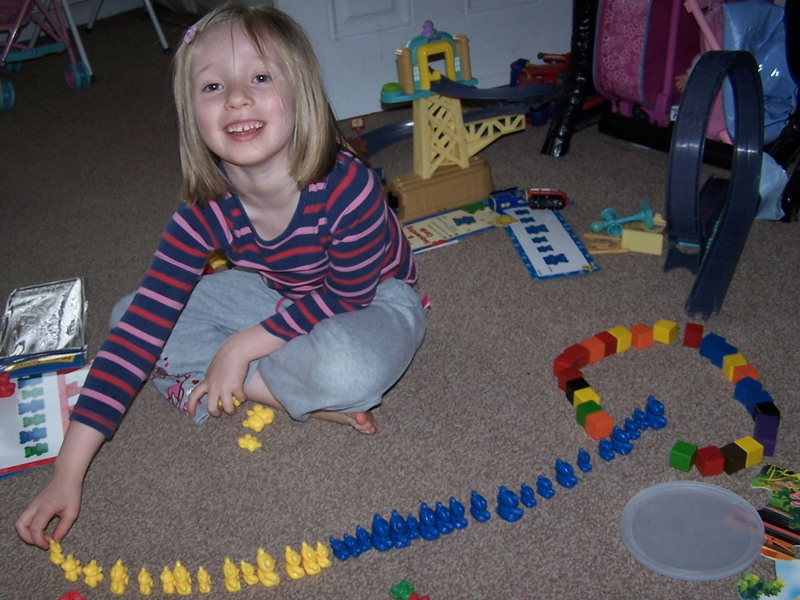 “Blocks are part of our educational programme”. Practice saying this a few times in front of the mirror so you can say it to parents with a straight face without smirking! When new children start at your setting, wow the parents by making some starting point assessments on them within the first few months of them starting. Create learning journeys and make sure parents read them. Dazzle parents by casually dropping some of the characteristics of effective learning terminology into your conversation! The trick is to keep your knowledge of their child’s development just a tiny fraction ahead of their own. Many childminders were parents first, and not only that, they were most likely parents who were good at it, and who enjoyed it. You certainly don’t go into childminding if you were one of those parents who spent the first year tiptoeing around your baby in case you broke it, or second guessing every disciplinary decision you made for your toddler! You were probably one of those parents who had most of it under control and took a lot of it in your stride. Otherwise you were probably unlikely to choose a career that means looking after other people’s children as well as your own! Whether you were a parent first before you became a childminder or not, most likely you have more experience than many parents in dealing with children. You have probably potty trained a child before, whereas they haven’t. Whatever the issue, you have probably seen it, done it and had the t-shirt vomited on before! Share your knowledge about healthy eating, exercise, first aid, food allergies, special educational needs. Often you have that little extra experience than they do to reassure parents that everything is normal, or have that little extra knowledge about ‘the system’ to point them in the right direction of the speech and language support in your area for example. The more that you act like an authority figure, the more this role will come naturally to you. Ultimately parents are often happy to take advice from their childminder, but nobody takes parenting advice from a babysitter! Don’t be modest. Make sure that parents are aware of all the great things you do because their children won’t tell them anything you want them to! When the parents come to collect the child it is hugely important not just to tell the parents what the child ate and how he slept and what his nappies were like… it is also a brief but crucial opportunity to show the parents all the great things you are doing with their child. Put up photos where parents will see them. Some childminders use daily diaries. Newsletters are a great way of spreading your success stories. Babysitters don’t write newsletters. Babysitters don’t ask for feedback on their service. They don’t evaluate and reflect on ways to improve the service they offer or ‘treat parents as partners’. They don’t send home questionnaires about ways to improve their service or offer parents a chance to help plan for their children’s time. They definitely don’t have a plan in place for their continual professional development. Good childminders do all this stuff, because we are childcare professionals. Parents and babysitters definitely do not do fire drills! Don’t become a victim of a bad mug. Always remember the childminder’s daily mantra (to be chanted on the school run): I am not JUST A BABYSITTER. I am an Ofsted-registered childcare professional, paediatric first-aid certified, DBS checked, potty-training certified, heathy-snack provider, licensed double-buggy driving CHILDMINDER. One of the saddest types of emails I get are from childminders who feel they were the ‘victims’ of a bad Ofsted inspection. “It wasn’t fair that she didn’t…” people will say. Or “she just didn’t understand that…” Horrible, unfair Ofsted inspections (like bad job interviews) do happen and when they do are you are well within your right to make a complaint. But don’t set yourself up to be a victim. With a bit of planning you can “manage” your Ofsted inspector and take control of your inspection so it goes the way you want it to. If you want the Ofsted inspector to think your setting is outstanding then don’t rate any sections of your practice ‘good’ or ‘requires improvement’ and hope that she will ‘read between the lines’ or realise that you want outstanding really but are being modest. People (including Ofsted inspectors) are very impressionable. Your answers to the Self Evaluation Form tell her what to expect before she arrives. If you tell your inspector that she can expect to see an outstanding setting, then she will come looking for excellence. Tell her you ‘require improvement’ and she will arrive looking for flaws. Those first few moments when your Ofsted inspector arrives are crucial because she is using that time to form instantaneous impressions about you, your setting and your children. So think carefully about how you will manage those first few minutes. As she walks through your front door which way will you lead her? Will you invite her to sit at your dining table or on the couch? Will you offer her a cup of tea? If she says yes, will you really leave her alone with the children while you make her one? What if she says no to the tea? Yikes! Remember that you are actually in control of this time. Like any guest she must be polite and respectful of your home, will follow where you lead her, and respond to your social prompts. It is your house so you have the advantage here. Use it! 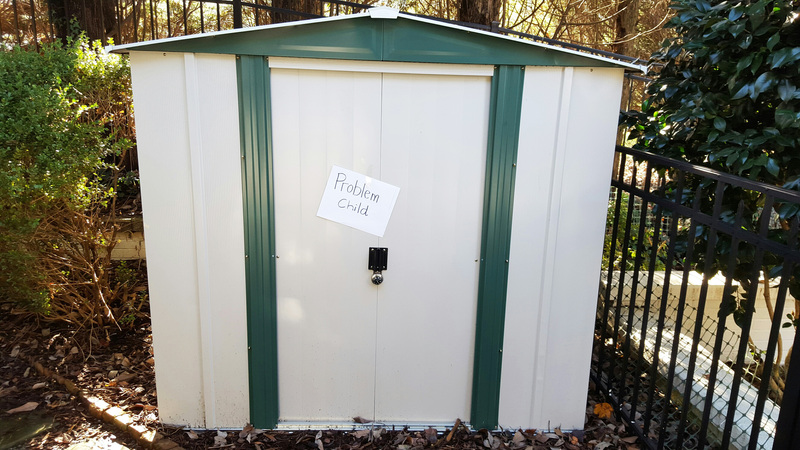 You can’t (unfortunately) lock him in the shed when you see her car pull up for your inspection, so the best thing to do about Problem Child is to make sure the inspector is aware right from the start that Alexander has ADHD/ has dad in jail/ is completely new to your setting etc. Call it to her attention so you can show how you are planning to ‘narrow his attainment gap’ to help him to catch up with the other children as soon as possible. Tip 4: Make sure you know what your local safeguarding procedures are. You KNOW how important safeguarding is. If you don’t know what to do if you suspect that a child in your setting has been abused then you are throwing her ammunition she will definitely use against you. She won’t care how great your setting appears or anything else you’ve been doing if you appear in any way ignorant about safeguarding. Does your push chair look like a biscuit barrel and your high chair look like a science experiment in growing mould? Does your fridge look like an E-coli outbreak just waiting to happen? These sorts of things make a really bad impression and are well within your control to get cleaned prior to your inspection. Don’t spend your inspection thinking, ‘I wish she’d ask me about this,’ or ‘why is she all focused on THIS thing, when I’ve been doing lots of THAT thing really well?’ If she doesn’t ask about something you are proud of, just bring it up. Under no circumstances should you allow her to leave until you have told her everything you wanted to! 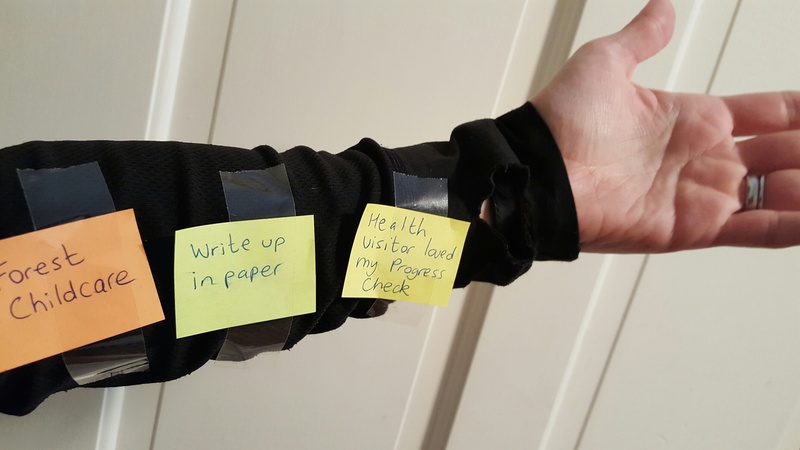 Plan how you will remind yourself about important things to tell her during the inspection even if it means sticking post it notes on your arms. During your inspection your inspector will want to see you doing some structured activities with the children. Prepare three so you have more than you will probably need – under scrutiny of the inspector, you don’t want to seem stuck for ideas. While you are doing these activities she will be watching you like a hawk and making judgements on everything you do from how you talk to the children, to what they are learning, to how well the children behave to you and each other. To avoid becoming a victim of ‘bad luck’ plan the activities you will do carefully and well. And read the Inspection Handbook points 66 and 72 which spell out exactly what the inspector is hoping to see from you. The earlier you start training the children to behave well for your inspection, the better it will go. If you want them to sit still for your structured activities, and eat a healthy snack, and put their own shoes on with the Ofsted Inspector watching then you need to train them how to do these things well in advance of your inspection. She is most interested in how you interact with them. She won’t really care if you don’t offer her a chair. She will care if you forget to shut the safety gate because you are talking to her about your ratios, or forget to wash the children’s hands before snack time because you are offering her a cup of tea. (Probably best to just forget the cup of tea). There is no excuse for you not to know each child’s development inside and out. You know that she is going to expect you to know this stuff, so make sure you do. You need to know those learning and development areas by heart so read Development Matters. Don’t know the Characteristics of Effective Learning? That’s like handing her a loaded gun. Get your starting points observations, planning and learning journeys up to date so that you can prove that you know where each child you look after is in terms of his or her development, what you can expect them to do next, and most importantly how you are planning to help Problem Child to catch up with the nice, easy ones you look after. Don’t become a victim of a bad Ofsted inspection! With careful planning you can take control of your day of judgement and help to manage your inspector so that she sees what you want her to see and gives you the grade you deserve. For more tips and pointers including a Count Down to Your Ofsted Inspection Checklist, get your Ultimate Childminding Checklist for only £10 from my website today. All British people need to be able to hold at least a two minute conversation about the weather. 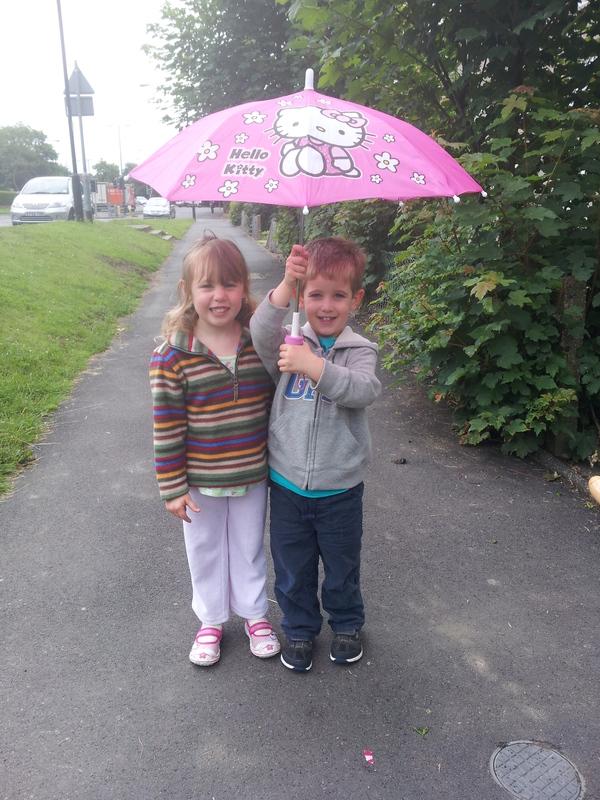 This is essential for managing school runs, shopping and passing strangers on the street. Ideally you should be able to talk for considerably longer on the subject and share short weather-related anecdotes. 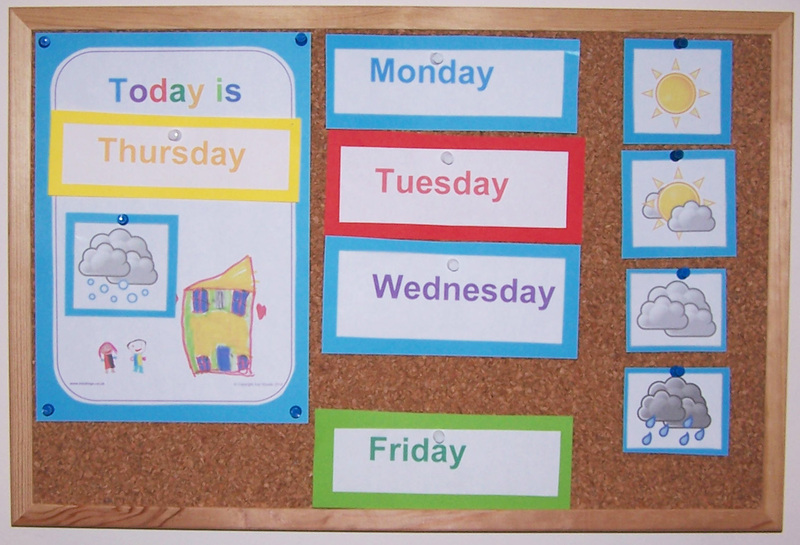 Childminders can help small children by teaching them the appropriate vocabulary they will need to join in weather conversations and by keeping a weather chart up in your setting to inspire interest in the subject from an early age. All Brits must enjoy drinking ridiculous quantities of tea. You can help by ensuring that the children watch you drink at least three cups of tea each day, more when socialising with others. An important coming of age ritual in British society is to learn to make tea in a proper tea pot and, when entertaining, to pour it into the cup in the correct order (ie. milk first). Children love pouring things and it’s great for their hand eye coordination, so a plastic tea pot is an excellent addition to any water play area, setting them on the right route to tea loving for life! British people are always apologising, even if it isn’t your fault. For example if another childminder bumps into you, or rams you with their push chair, it is considered perfectly normal for you to mutter ‘sorry’ to them. Hold practice sessions during soft play where you encourage the children to bump into each other and everyone saying ‘sorry’ so that they will learn how to master this skill. All British adults must have an opinion about the royal family. Whether we think they’re great – great for tourism, charity work, national identity and the occasional extra holiday, or whether we think they have no place in modern Britain, we can’t have an opinion about something we know nothing about. Therefore it is essential to help small children to learn about the royal family, even if it’s just to learn the name and job title of the old lady whose head is on all the stamps and coins in your post office set. British people love the Downton Abbeys of our countryside. Dotted amid our green and pleasant land they remind us to be proud of our history and heritage. Go for splendid picnics in the countryside, throw pennies in fountains, walk among the daffodils while teaching the children to sing Jerusalem, and don’t forget an umbrella (so you can practice complaining about British picnic weather)! Don’t take them to McDonalds. When you’re having a day off of healthy eating, show childminded children how British people do junk food by buying fish and chips for lunch. It is an essential part of the experience to eat them in the park straight from the paper, ideally while stabbing them with a little wooden chip fork. We all know that it’s essential to teach children to say please and thank you but why stop there? 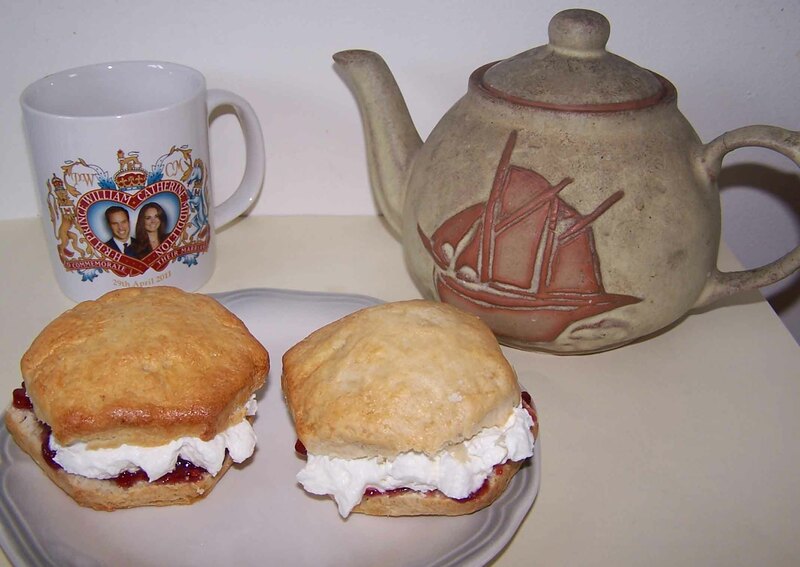 All British people are ridiculously polite, so make sure to teach small children how to hold doors, how to smile and say ‘good morning’ to people you pass on the school run and how to sound sincere when offering the last biscuit to another child. Good table manners are vital. Smearing your face in yogurt and throwing food you don’t like onto the floor is generally considered unacceptable in Britain after the age of one. As childminders we can help by teaching children how to use a spoon, fork, knife and how to pass plates of vegetables (and port decanters) in the right direction around the dinner table and without dropping them in our neighbours laps. All British adults need to make time each week to watch reality TV shows so that they can continue to make conversation with others after the weather topic is exhausted. It is essential to stay as up to date as possible on Big Brother, the X-Factor, the Apprentice and of course Strictly although some British men substitute the week’s football scores for one of these programmes. As a childminder you can help by getting the children hooked on TV from an early age and encouraging them to discuss their opinions about the day’s Octonaut’s adventures, the Pinky Ponk’s latest crash, and Mr. Tumble’s choice of handbag. 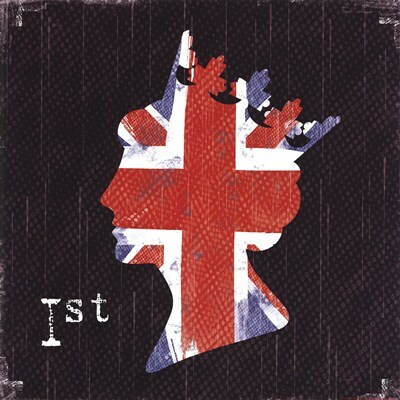 There are few things more British than the Beatles and all adult Brits know the words and can sing along to at least five Beatles songs. Once they’ve mastered ‘twinkle twinkle’ and ‘wheels on the bus’ your children are ready to learn their first Beatles songs. Beatles music is best played in the car, where small children are strapped in and can’t run away when you sing. Legislation is currently being planned by the government to add Beatles lyrics to the driving theory test. In Britain there are few things as important to our national identity as knowing how to queue. Despite what it seems to foreigners, British people are not born with this ability but must learn it. So from a very early age, childminders should teach queueing skills to youngsters. Have you ever watched what happens when somebody pushes in a queue? There have been moments where I have found myself concerned if the reckless rebel is going to make it out of the shop alive! Don’t let any of the children you look after grow up so uncivilised! Remember, that when we encourage small children to learn to form orderly queues, they are learning to uphold the very fabric that binds our nation together. 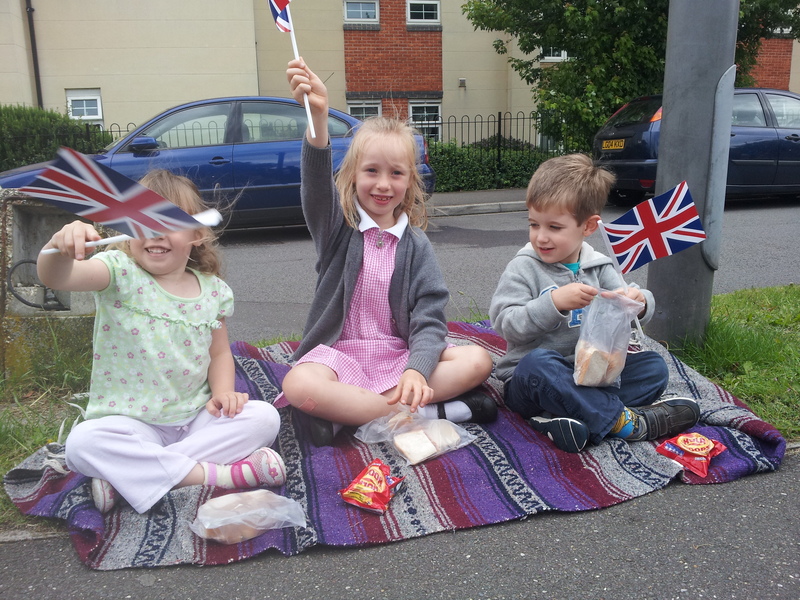 So there you have it – ten real British Values you can teach to the children you look after. Next time know that when you are teaching the children to form a queue, to fill in that weather chart, to eat nicely, to hold doors and apologise that you are actually doing your bit to fight extremism on the home front, by upholding those values that we British hold dear. What do you think of the government asking childminders to promote British Values? Please comment on this post and feel free to share it on social media sites.